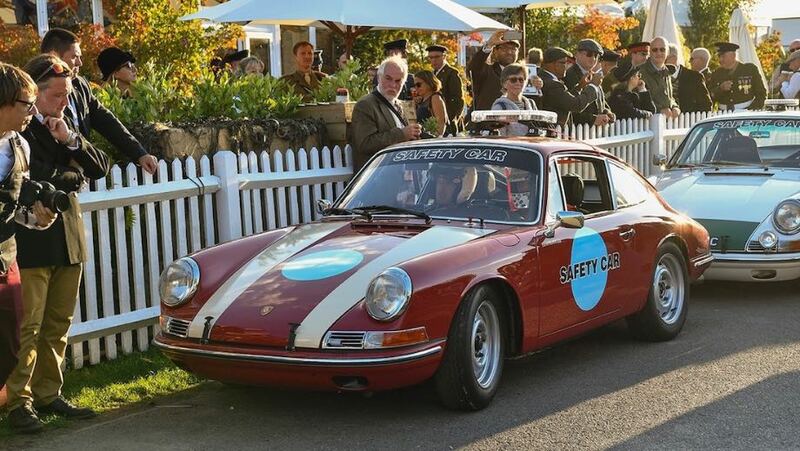 The ’70 Years of Porsche Sports Cars’ was among the many celebrations at the 2018 Goodwood Revival, held September 7-9 at the 7-turn, 2.4-mile Goodwood Motor Circuit in West Sussex, England. 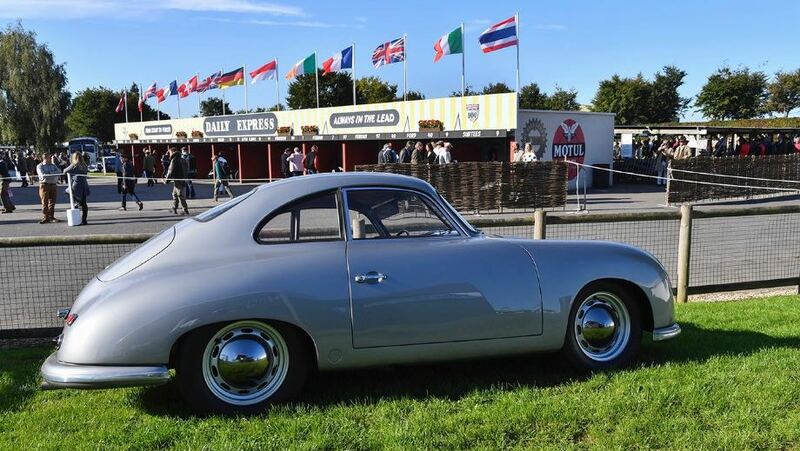 Since 1998 the legendary Goodwood Revival Meeting has been a hit with vintage car fans from all over the world, which is why Porsche was there this year with some really special vintage car models. 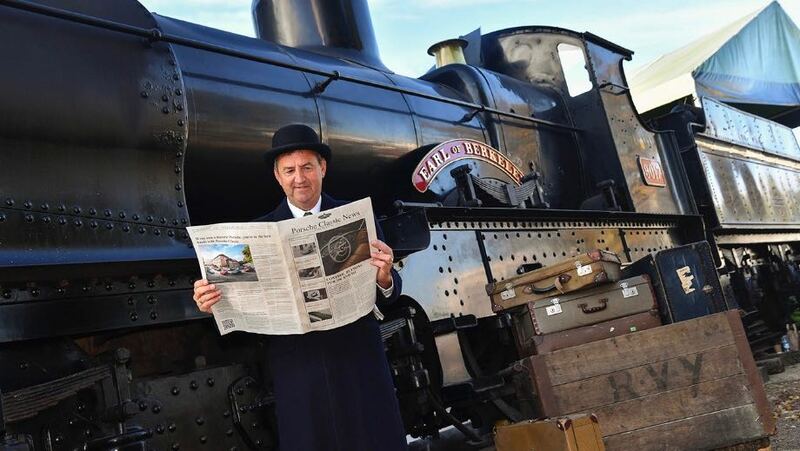 There was a special atmosphere this year at the 20th edition of the Goodwood Revival. 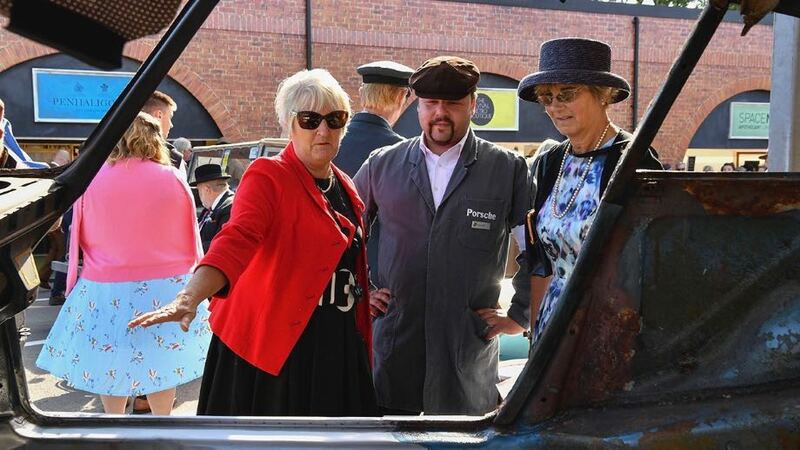 About 150,000 guests dressed in the styles of the 1940s to the ’60s stroll around the festival area among well-preserved racing cars from up to 1966, with everything staged in a contemporary setting. Three early Porsche 911s acted as pace cars on the occasion of the “70 Years of Porsche Sports Cars” anniversary. Porsche Classic also presented itself in the look of a historic workshop with numerous highlights from the Classic original parts range, such as the reissued tool bags for all Porsche 356 and 911 F models. 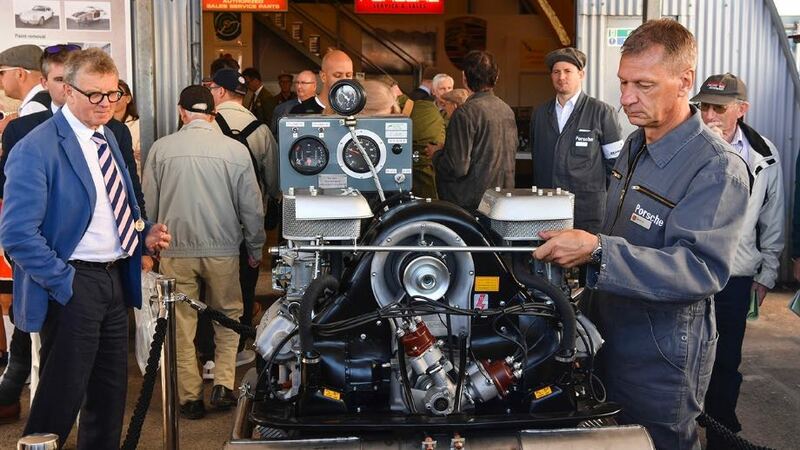 In order to also demonstrate the factory restoration, a 356 Carrera 2 GS engine of type 587/1, restored to customer order, was regularly started. 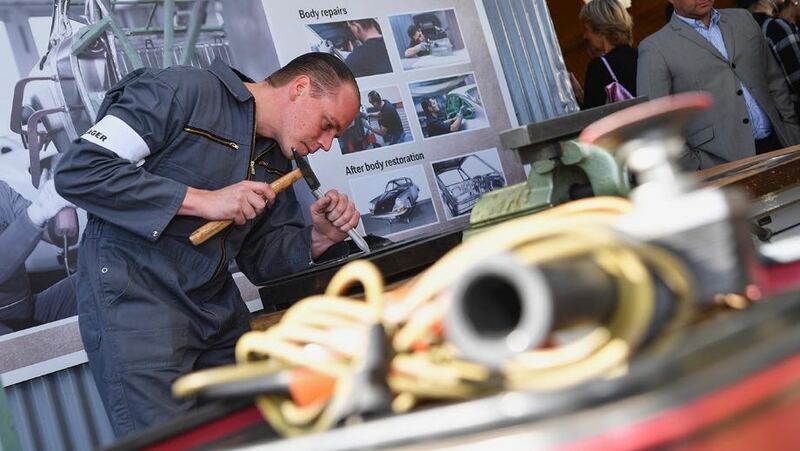 For the anniversary of the vintage racing car festival, Porsche Classic also provided two special exhibits for visitors: An 911 F model on which visitors were able to follow the workshop maintenance of the bodywork through individually presented repair stages and thus experience the craftwork involved in a restoration. Selected sheets were reproduced live by a specialist from the Classic workshop. Porsche Classic partners from Great Britain also restored a first-generation 911 to celebrate 70 years of Porsche sports cars. This car already participated in events such as the Silverstone Classic, Le Mans Classic and the Oldtimer Grand Prix featuring drivers such as Derek Bell and Richard Attwood.